Have I mentioned how much I love the 747? 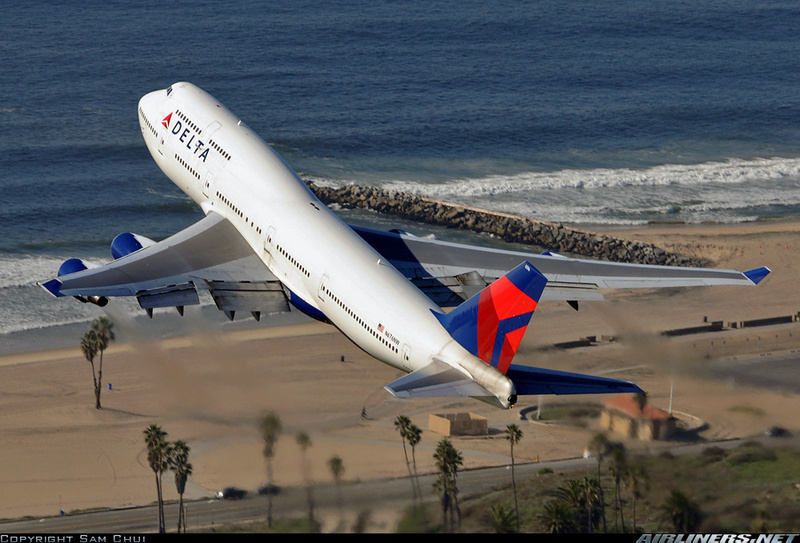 My wallpaper on my laptop is THIS Delta jet taking off from LAX. Also did I tell you I have never ever flown on a 747-8 (and will not ever get a chance in Delta colors as they are decommissioning all their old 747s soon and they have no plans to buy new ones). How can you beat the 1st class ride on a Lufthansa for under $120 and some now nearly worthless United points. Please someone pinch me, I must be dreaming! Well it did take a bit of doing as you may have seen in parts 1 & 2 that could have easily ended nightmarishly, but it all worked out and here we are. If you have not had a chance to ever fly on a 747 in row 1 seat 1A, or the corresponding seat on the other side, you should try to. Due to the curve of the plane you get a bit of a straight ahead view. I have had some 54 takeoffs this year but this one was just special and I felt completely geeked out. But sorry I am getting ahead of myself. After finding our seats I was warmly greeted, by name, by the head purser. This is always a nice touch and Delta does the same most times in Business Elite (BE) on international flights as well as recognizing and thanking me for my Diamond status. The purser on this flight was nice and I did not see her much for the rest of the trip. Not a bad thing as the rest of the staff was attentive so just an observation. This is a tiny cabin really but they did make room for a service area right in the middle of the cabin. I was presented with my PJ’s and informed there was a locker in the back with my corresponding seats number 1K. Sweet, time to change and check out the 1st class kit. The 1st class lavatory was decent size and it is nice to have a fold down bench to sit on to change into your sleeping attire. Then once comfy and changed, having hung up my travel clothes, it was time to check out the new seat and toys and push all the buttons and see what they all do (yeah I am 4 years old at this point and having a blast). Only stopping long enough to tweet a few photos to my fellow BA bloggers MJ (they seemed to want to be on the jet too). Champagne and macadamia nuts while I play around – absolutely! I love a red rose, bubbly wine and snacks while I get acclimated to my new home over the water. I did get a great view of ORD as we took off. The only really frustrating thing I found was I could not use my own headset as the plug, rather than what is standard 1 or two prong on Delta was one short one long prong so I had to use the LH ones. A minor thing but know that is the connector. The only thing I really had any problem finding was the tray table. It is way far away on the right front and then swings back. I did find it hard to find the perfect seating “location” to eat in the right position, but I will work on that on the way back (same seats but different jet that time). Menus for dining as well as the large selection of wines and drinks was presented for us to look over before the pre-appetizer, caviar service, and then appetizers were to be presented. I would have been just as happy to start right away with the caviar and skip this strange thing. Time for the caviar service to begin (does one ever get tired of saying that – I don’t think so). I was presented with a healthy service of all of the goodies and offered vodka but turned that down. The appetizer and salad round was next and was very tasty and would have them again. For dinner I chose the steak, mashed potatoes with carrots and lump crab meat on top. Was just nummy and may have been the best steak I have ever had on a plane. Truly tops. My wife in 2K had the lobster with scallops for the entree choice. She said it was good but not the best (I think I made the right choice). After dessert I was asked if I wanted them to make up my seat for sleeping. I said sure and when I returned mattress was applied to the full flat seat and it was time to drift away over the Atlantic. I had also requested not to be woken up for breakfast service as I was going to have plenty of time in the lounge for that. I did not spend much time using the IFE but it worked fine and the selections were good as well as the moving map with flight info. I have to say the 747-8 is a very nice ride. Sure I was in the best seat on the jet (other than 0A as that truly is the best) but this is a nice bird. Approaching FRA we had to go around, due to improper spacing, the captain announced after flying over the airport giving an interesting view from above. We had all sorts of time in FRA so what I should have done is stayed onboard and let everyone depart and ask to take some photos of the cockpit and more seat photos in business and coach etc. but I was sleepy and just walked off (maybe due to my enthusiasm for my return to the 1st class terminal up next). Lucky is jumping for joy over this review (you sure he did not slip you a few bucks for this review 🙂 ). Sounds great. Looking forward to the rest of the trip! @Sam – HA! I did tweet Ben that it was funny he was reviews KLM this week and my LH. It was a great trip. Return was amazing as well. Plus the 1st class lounge and on and on. @Purcitron – it was pre-devaluation so 135k each. Rene, I assume that you added your miles and more number to the reservation. Have you seen any points show up? Thanks. TPG says UA MP Miles are worth 1.5 cents. Ben values them at 1.4 cents. 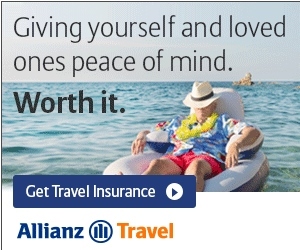 But you state “now nearly worthless United points”. You turned down the Vodka??? @Texas Yankee – I sorry! I am very ashamed! 🙁 I had a little on the way back and it was very nice. I see the idea of a palate cleanser. You’ve done a great job chronicling the journey. You could have been a photo journalist! Thanks for the insider’s view! @Corbett – txs it was a fun trip. I will be sharing in the same way my 1st RU & GU cert trip with Delta later this year.